The Harbour City is renowned around the world for its dazzling night lights and energetic rhythm that still leaves a lot of room for relaxation. This winning reputation has been set largely thanks to the disarmingly welcoming residents who are known for their “live and let live” attitude. The steady waters of Sydney Harbor combined with dense infrastructure and eclectic architecture create a truly photogenic cityscape that is a perfect playground for those who are in the mood for luxury delights. If you count yourself among such eager newcomers, here are the essentials of Sydney’s luxury side. There is a good reason Sydney has become such a potent luxury destination. Even though it has its fair share of bling – the five-star penthouses, the private beaches, the oceanfront roof parties – it is also one of the busiest and richest cultural centers in the world. It manages to balance the classy and the modern in an amazingly effective way. If you truly want a luxurious experience in Sydney, begin your day with a gallery tour, bask in the daily festivities and enjoy the evening of opera in the world’s most famous Sydney Opera House. If you are a party animal who enjoys darting around town in style, this is a perfect city for you – with a plethora of expansive, exclusive and tastefully designed nightclubs that are guaranteed to satisfy you. Head directly to what is known as the central business district – the very heart of Sydney and a hub of all activities that might interest you – with an exit onto the Circular Quay and the legendary historical district The Rocks. If you have a chance to pick the most opportune time frame to visit Sydney, try to modify your schedule so you can be here between May 25 and June 16 – just in time for Vivid Sydney, the annual lighting festival that uses the impressive cityscape to create a jaw-dropping kaleidoscope of the moving neon glow and artful design. The festival goes on for around 23 days and it is visited by over 2 million people annually. Famous musicians, artists and entrepreneurs flock in Sydney during this festival, usually to perform and often to give incredibly interesting lectures. This is the best time to utilize the full deluxe potential of Sydney, so if you get a chance to land during the Vivid festival, contact the Sydney Airport limousine service and ride to your luxurious accommodations with style for a quick refreshment before you are set loose on the lively town. 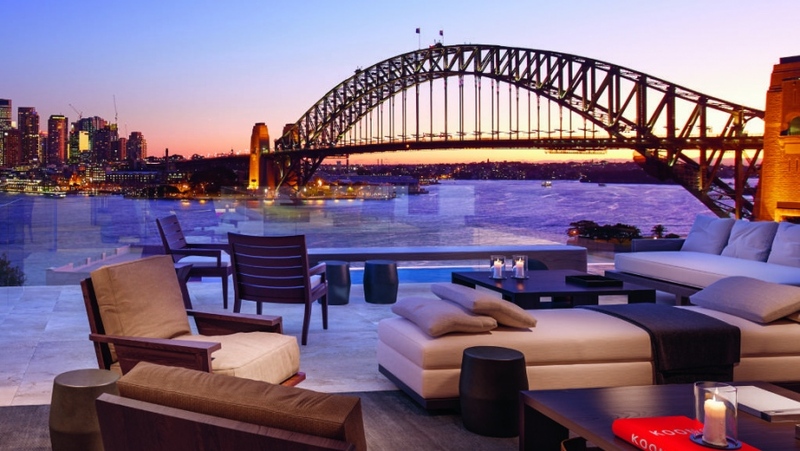 If you want high-end hotel suites and captivating accommodation, you will be spoiled for choice in Sydney. On the one hand, you can go directly to the renowned Quay West Suites or rent a penthouse in one of the franchise hotels. However, this would be quite an unimaginative choice considering what the city offers. Sydney is also brimming with jaw-dropping delights when it comes to accommodations – the crazy boutique hotels and hidden gems of the apartments you can find on Airbnb. The city is a treasure trove of custom accommodations that are out of this world, so take a chance and browse around for a bit before you fall back on the admittedly luxurious but somewhat bland choice. Sydney is particularly well known for the superlative quality of its cuisine. The city itself is a melting pot of cultures, each of them bringing their own assortment of traditional meals to the table. 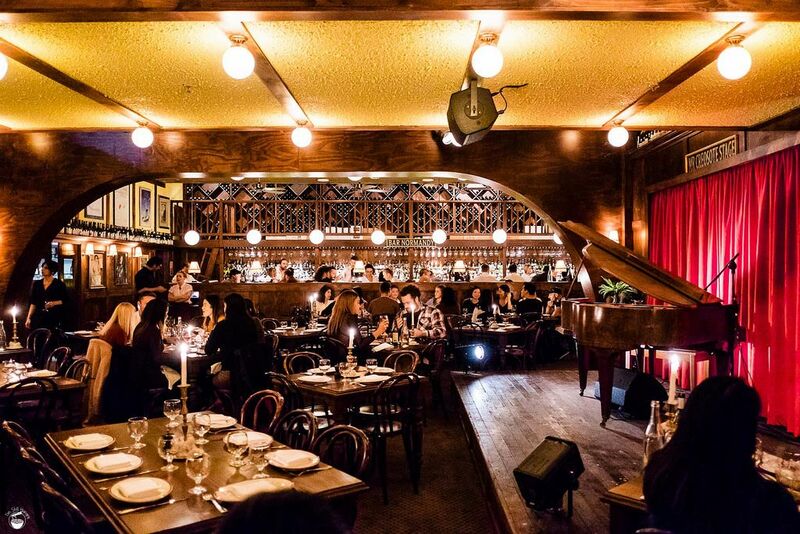 Therefore, if you are within your financial means to have a truly eccentric culinary adventure filled with outrageous meals and explosive tastes, you’ve come to the right city. You can visit one of the multi-Michelin star restaurants this city boasts, walk the banks of Darling Harbour in search of the exotic tastes, or visit one of the renowned restaurants such as Hubert or Firedoor – all of those hotspots that are known for their heavenly food. However, just like with accommodation, it is highly advisable to explore and experiment. If you are in for the ultimate luxury experience in Sydney, remember that the game is played for the high risk – high reward dynamic. The Art Deco sleekness of New York City high rises and the opulent baroque facades of Paris are usually the most coveted luxury backdrops for urbane escapades. There is something to be said about the long history of architecture and cultural heritage when it comes to richness – and in that regard, Sydney is the new kid on the block. It is therefore a testament to the Harbour City’s delights that it managed to become the most luxurious modern city in the world.